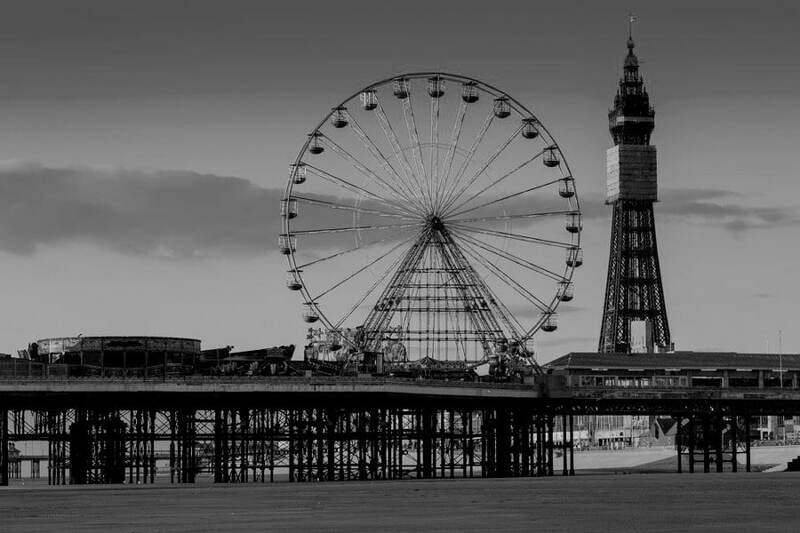 Did you know that at one time Lancashire was considered to be the third most haunted area in the whole of the United Kingdom? 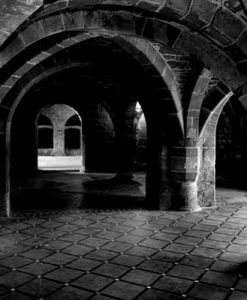 There are so many reportedly haunted buildings and such a rich history that it is no surprise really that the are is something of a hub for paranormal tales. 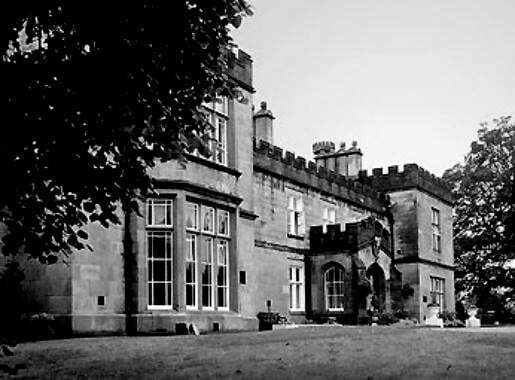 At first glance, the four star Mercure Dunkenhalgh Hotel and Spa looks like a luxury get away in an old country manor house. In fact, the building can actually be traced back to 1285. It is also known to have at least one ghost, in the form of a young French woman called Lucette. The story goes, that Lucette was a governess to the Petre family and she was beloved by the family. However, one Christmas a handsome young officer charmed Lucette and she fell head over heels in love with him. His feelings were not so strong in return and he broke her heart. Lucette soon realised that she no longer belonged at Dukenhalgh, but she could not go home to France either. She spent her time wandering in the glades where her lover had abandoned her until one night she threw herself off of the bridge into the water below. Since then she has been said to haunt the hotel and activity always seems to peak around the Christmas season. Sightings have been reported by guests and staff who have seen Lucette in various different spots around the hotel. She is often spotted in photographs that guests have taken and one guest even claims to have woken to find Lucette sitting at the end of the bed! 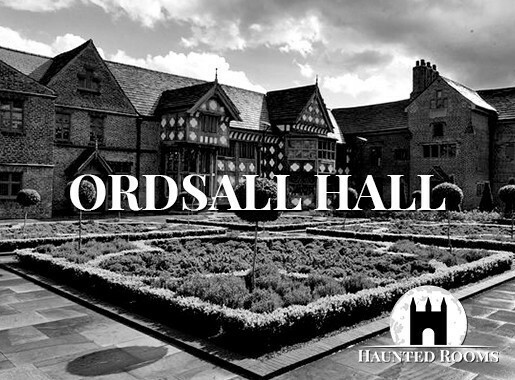 Ordsall Hal in Manchester is one of the most haunted places in Lancashire. It has a rich and somewhat sinister history and is known for having some very impressive paranormal activity. The activity has actually intensified in recent years following extensive renovation work which seems to have riled up the resident spooks! Poltergeist activity has been reported in various locations throughout the building and visitors often feel very unwelcome in the attic area. In fact, only the bravest souls even go in! There are several parts of Ordsall Hall where staff will not go into alone. There are two tragic ghosts in the property as well, one is said to be a woman who threw herself from the balcony of the Great Hall and the other is a child who was drowned in the kitchen well. Both can still be heard crying. 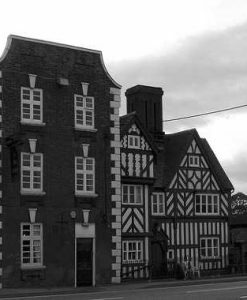 Preston’s Samlesbury Hall is another stop that is a must see on any tour of haunted Lancashire! This historic home has a history that is packed full of witchcraft, mystery and intrigue! The house was built in 1325 by Gilbert de Southworth and served as the family’s primary residence until the beginning of the 1600s. It has served a number of different purposes over the years including a spell as a boarding school for girls in 1850. At least one death has occurred on the property, when one of the owners shot himself over money worries and the building certainly has at least a couple of ghostly presences hanging around! 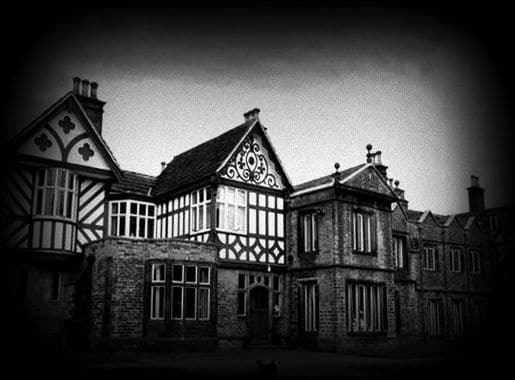 Both staff and visitors have spoken of being startled by the sight of a white lady floating down the corridors of Samlesbury Hall. She is believed to by the spirit of Dorothy Southworth. She is certainly not the only ghost haunting the building. 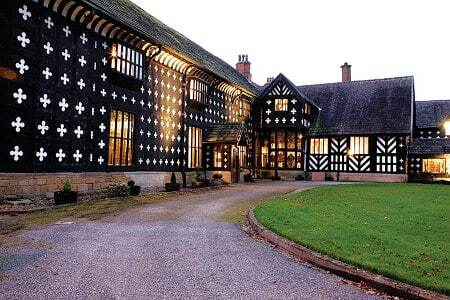 Samlesbury Hall also has a priest’s room dating back to the 1500s and it is also haunted. You see, one of the priests hiding in it was actually discovered by soldiers and they beheaded him right there on the spot. Not only does the priest now haunt the room, but from time to time the bloodstain apparently reappears on the wooden floorboards. 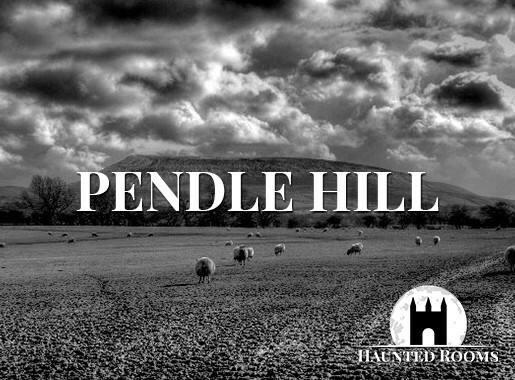 Pendle Hill is one of the most famous haunted places in Lancashire. This isolated location is notorious for being haunted by the spirits of 12 witches who allegedly lived there in the 17th century. The witches were accused of not only performing witchcraft, but also murdering ten people. One of the witches died during the trials and all but one of the surviving witches were found guilty. They were executed by hanging. Visitors often report feeling great anger when they are on Pendle Hill and many locals fear even discussing the witch trials! The witches are said to be responsible for various unexplained occurrences, but there could also be some other spirits at work since Pendle Hill also had a Bronze Age burial site at the summit. Morecambe Winter Gardens is a Grade II listed building which originally opened in 1897 as the Victorian Pavilion Theatre. It was an extension to the existing Winter Gardens which were demolished in 1982. 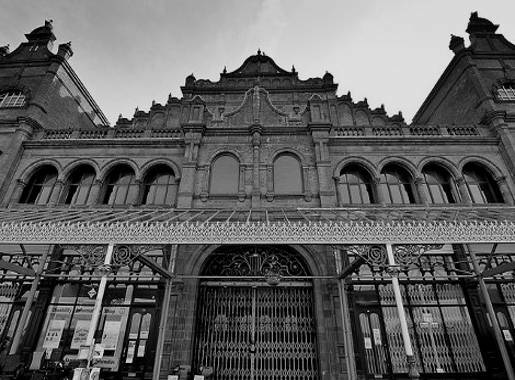 These days Morecambe Winter Gardens is best known for being one of the most haunted places in Lancashire. The stage seems to be a particular hotspot for the paranormal. It is not at all uncommon for people on the side of the stage to be pushed, poked and even slapped by an unseen force! There have also been numerous reports of shadows flitting across the stage and a man and a young boy have both been spotted regularly. There are also said to be ghosts in the bar and on the various stairwells. Another well known ghost includes the spirit of a seamstress who had dreams of becoming a professional dancer. However, she failed to achieve the fame that she so desperately wanted and now she haunts one of the dressing rooms and the auditorium. There has been some kind of building on the land occupied by Smithills Hall since the early part of the 13th century. 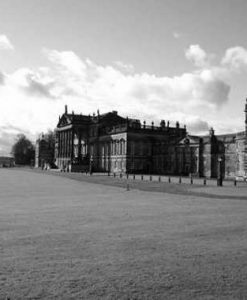 The families that have resided there have predominantly been the Radcliffes, Ainsworths and Bartons. In 1928 the property was sold to Bolton Council and the oldest parts of the house were opened up as a museum in 1963. The remainder of the building served as a daycare centre and residential home. Today, it still has a museum, but it is also used as a restaurant and wedding venue. It is also a hive of paranormal activity! There is one particularly mischievous spirit who like to amuse itself by pinching the bottoms of visitors and staff alike! This seems to be particularly common in the area close to the stairs in between the Bower and Solar room. In this same area, visitors have reported seeing the apparition of a lady in a period dress walking down the stairs. There are also regular reports of an unexplained burning smell and visitors frequently capture ‘orbs’ in photos taken around the building. Smithills Hall also plays host to a small boy with curly hair who is known by the name Tommy. He is often sensed in the Solar room. Some visitors also mention a young girl and soldiers in full uniform being present in the Solar room. There is also said to be the spirit of a grey lady who tends to sit in the front pew of Smithills Hall’s church. Visitors to the church have also reported seeing a spirit kneeling at the church altar. This is believed to be George Marsh, a local curate who was tried in the courtroom and sentenced to death at the stake. Apparently, his footprint is preserved in one of the flagstones on the way to the room in which he was held. This was removed at some point, but it apparently triggered poltergeist activity until it was put back! However, it was placed facing the wrong way and since then many visitors are uneasy about entering the room, saying that they can feel a malevolent spirit there. 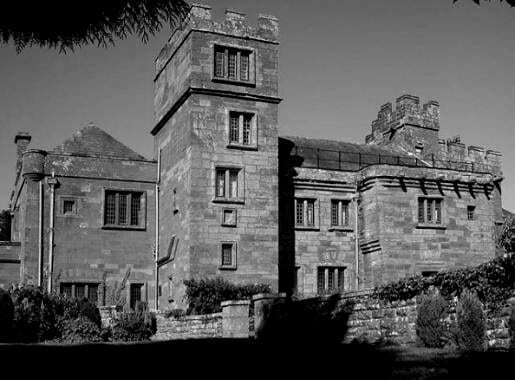 It certainly seems like Smithills Hall has more than its fair share of Lancashire ghosts, but we are not even done yet! There is also said to be a small, dark haired figure seen crouching in the Tea Room dressed in old clothing and the manager of the shop has frequently spotted the reflection of a tall man with a white beard in one particular mirror! 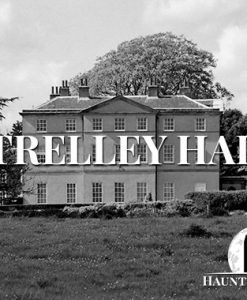 Back when the Hall was a residential home, the security guard often heard phantom horses galloping outside. 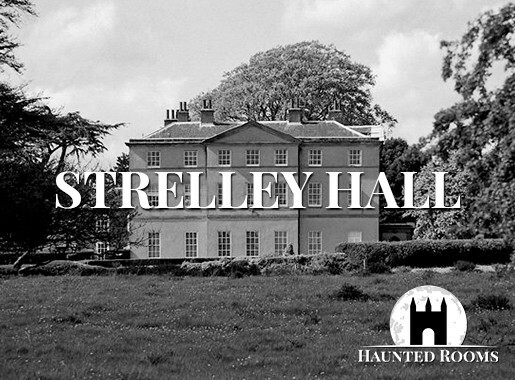 Dalston Hall Hotel is said to be haunted by the spirit of Lady Jane who has been spotted roaming around the gallery above the main hall. There are also several other ghostly sightings here including that of a little girl named Emily and a Handyman, who apparently still helps out by handing workmen their tools!